Jon Walters' last game for Ireland was a 4-1 hammering in Cardiff. It doesn't matter. He didn't even play for the country's senior team until he was 27. It doesn't matter. There are regrets with Jon Walters. We should've used him sooner and he deserved to play for longer too; beyond 35 - for another 10 years like he wanted to - but, in the grand scheme of things, it just doesn't matter. 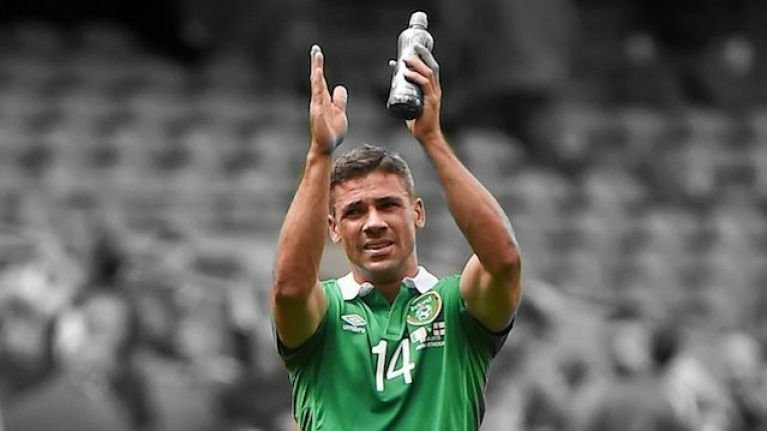 You see, in the space of 54 caps with Ireland, Jon Walters created these magical little moments that will last forever. He did things that have inspired the next generation and given celebration to the rest. He's carved in the annals of Irish history now and the nights he brought this island join the other timeless classics in immortality. 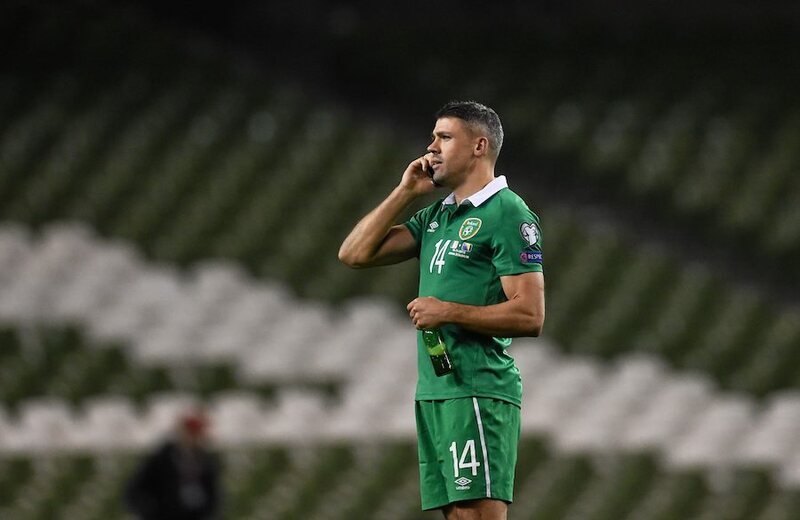 Eight years was all he needed to create a legend out of himself and, if it's hard to let go of a massive character synonymous with so many epic moments - and one man essential to so many necessary requirements of the operation - it's harder for Jon Walters to announce his retirement. "It's in your head. You start getting a little bit emotional when you start looking back over photos. That's what I've been doing," Walters spoke with SportsJOE about a career that will stand the test of time. "For the last couple of weeks, I've just been going back over old photos of playing and the good times. They seem a long time ago because I've been stuck in the gym for six months but that's probably the hardest bit, when I look back. "Even for my little boy, who's turning eight this weekend, it just would've been nice for him to see me play a bit more. But it's not to be." Since picking up his Achilles injury, it's been a real tough time, professionally and personally, for months. Walters, who grew up so young when he had to cope with the passing of his Irish-born mother at the age of just 11, then lost his brother and had to deal with other things in the family too. "It was two or three things at once and then I went on loan at Ipswich, which was the furthest place I could've picked but the owner rang me and I was trying to help out a team that meant a lot to me," he explained. "But I was away from the family and, after I got injured, I just took the mentality that I'm meant to be at home with my family. All things happen for a reason. "Let's be honest, football's a very selfish game, in terms of family. As the father figure and husband in the family, football is just about yourself, really. It's about you as a player and you playing games and you recovering. In the summer, you can't do certain things, you can only go away for a few days and it's selfish - obviously, you have money coming into the house but it's self-driven. "Being a dad, I make as much time for my kids as I can and I always put my family first, even though it's hard to in football. You're not going to be able to carry on running around forever, never at the same level anyway, and you want to be able to play with your kids in a few years as well. "It's time to put them first and have time with them." 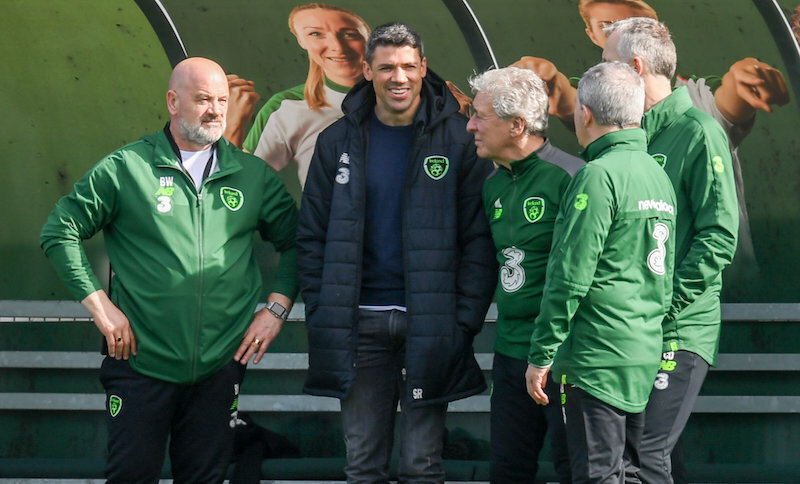 Walters visited the Ireland camp this week to break the news to his team mates that he would be retiring from professional football outright. He spoke with Robbie Keane at length about dealing with life after football but, for the two of them, the biggest struggle was a common ground. 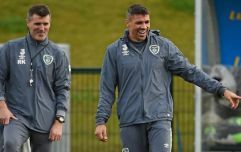 Whilst most retired players find it hard to come to terms with losing their routine, from kicking a ball every day and from sharing a workplace with 30 men around the same age, the biggest loss for Keane and Walters is stepping away from Ireland. "Without a shadow of a doubt, representing Ireland is the proudest thing I’ve ever done in football. Without a shadow of a doubt. "Forget everything else, that’s the one thing I’ll miss: meeting up with Ireland and playing with Ireland. That drove me most of the time. Even the last six months in the gym, it was to get back to that point. "From a pure emotional and purely personal point of view, that’s what I wanted to do, get back playing for Ireland. It’s all I ever wanted to do and that’s going to be the hardest thing, not being able to play for Ireland." The iconic number 14, who just a month previous destroyed the Germans, scored two goals that threatened to lift the Aviva Stadium off its hinges. For the final moments in that game, every man, woman and child on Lansdowne Road were on their feet, waving scarves and flags, roaring at the top of their lungs and they were doing it because Jon Walters had awoken football in Ireland again. When they had all cleared into the night streets with a renewed sense of pride and the country's place in France secured, when the Irish changing room was turning into a free-for-all, one man appeared back on the pitch he could now call his own. Walters was there. Alone. Beer in hand, phone to his ear. Savouring the moment. "Some people like to go out and go mental and do this and that and the other, I like it a bit serene, really, and just enjoy things quietly with the family." So in that moment of madness, in another moment he had immortalised, Walters only wanted to do one thing: be with his family. They were only up in the box but it was too chaotic to take them to the changing room so he strolled back onto the turf and called his wife. "Everyone was going mental obviously in the changing rooms, the music was blaring and the beer was coming out. But in those moments when you’ve done something successful like that, I like to be just quiet and take it in. "Everyone was there - all my family, my kids, my wife, my aunties and uncles and cousins, we had everyone there and it was such a big occasion to do well and to score the goals that helped us get to the Euros. You’ve got to look back and say that was your favourite moment. "Just to speak to the kids after a moment like that, it was very nice." It was a moment that he had been dreaming about for a long time, forever in fact. 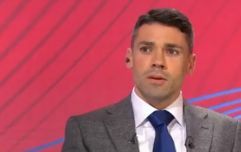 He might've grown up in the north of England but his roots are in Donegal and in Belfast and Dublin, so playing for Ireland was always the start and end goal for Jon Walters who had to wait until he was 27 to fulfil those ambitions. In such a short period though, he made up for lost time like you wouldn't believe and delivered those moments that will never be forgotten. Mostly, they won't be forgotten by the man himself who wants to finish football with a message to the Irish fans. "My family, we spent every day we weren’t in school in Ireland and we followed the Irish football team growing up. When I got asked to play for Ireland I just said straight away, ‘that’s what I’ve always wanted to do’. "It’s the best place in the world, bar none. Always said it, and I’ll always believe it. "I’m an English-born Irish man and I don’t have the Irish accent but I just want to say that representing this country is what I’ve wanted to do since I was very young. "I’m a very proud Irish man and all I can say is thank you for allowing me to pull on that green jersey and for being able to play in front of you, because that’s special. "I never took it for granted, being able to play in front of these people in that stadium. "The support you get… there’s nothing like it in the world."